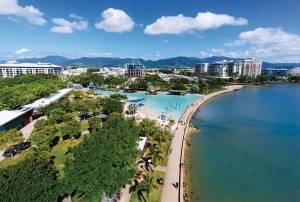 The Cairns Esplanade is one of the most interesting birdwatching spots in north-eastern Australia. Over 200 species of birds recorded and is an extremely popular bird watchers precinct. It is one of the best spots for Asiatic shorebirds on the eastern coast of Australia and is recognised worldwide for its importance as shorebird habitat, with large naumbers of birdwatchers visiting each year. The best times to visit is about two hours before high tide or from about an hour or so after high tide. Like the esplanade, the Cairns Botanical Gardens is excellent area for bird watchers. Dedicated birdwathers should plan to stay here for at least a few hours. 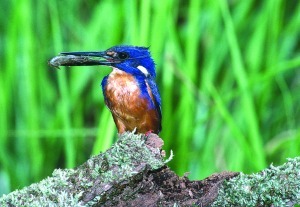 There is always a chance for some of the more elusive species such as Black Bittern., White-browed Crake and Little Kingfisher, as well as Pygmy-geese. The Centenary Lakes are connected to the Botanic Gardens by a low lying boardwalk through a pristine swamp forest and melaleuca wetlands. The boardwalk between the gardens and the lakes leads to a footbridge over a tidal mangrove channel where Common Sandpiper, Mangrove Robin and Large-billed Gerygone are often seen. afternoon when locals use it to tone up and get fit. 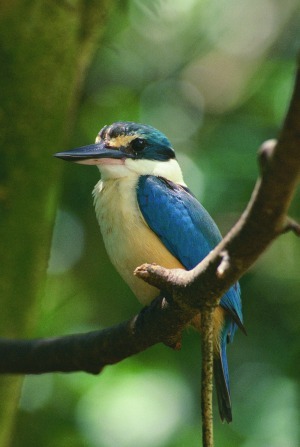 Birdworld is located at Kuranda. This is a very popular attraction to visit if you decide to do the Kuranda Train and Skyrail daytrip.